Collection of interviews by V D Selvaraj. ‘Sasthrasamvadam’ records the talks of V D Selvaraj with six eminent science personalities including Dr. E. C. George Sudarshan, Dr. M. S. Valiathan, Dr.Dr. George Geevarghese Joseph, Dr.Thanu Padmanabhan, Dr.P. K. Warrier and Dr. A Ajayaghosh. 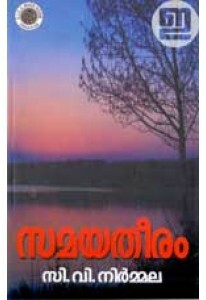 Forewords by Pinarayi Vijayan and S Jayachandran Nair.